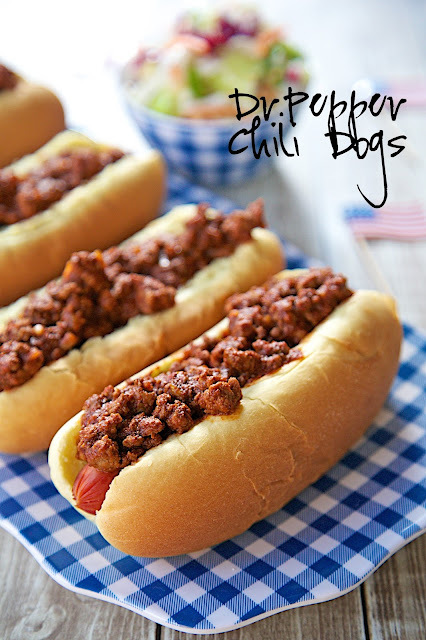 Dr. Pepper Chili Dogs Recipe - hot dogs topped with a sweet and tangy Dr. Pepper chili - great for your Summer cookouts! Ready in under 30 minutes! 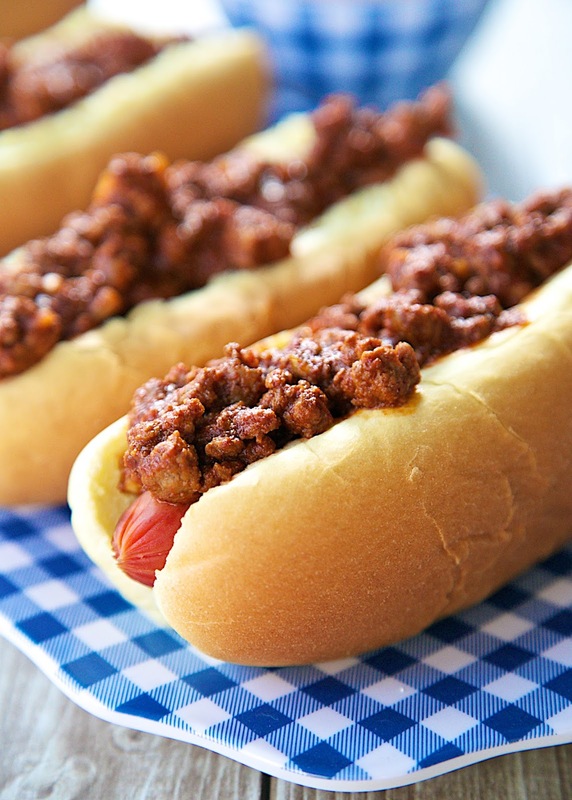 I think chili dogs are a quintessential Summer treat. These Dr. Pepper Chili Dogs are the perfect dish for your Summer parties. The Dr. Pepper gives the chili a little sweetness - it tasted great! The chili can be made ahead of time and reheated when you are ready to serve it. We ate these for dinner and lunch the next day. The chili tasted great both times. If you aren't a fan of hot dogs, you can serve the Dr. Pepper Chili in the hot dog buns and top it with some cheese and slaw. It will still taste great! In a large skillet, cook ground beef over medium-high heat, until no longer pink. Drain fat. Return beef to pan, stir in tomato paste, garlic, Worcestershire, chili powder, onion flakes, and cayenne pepper. Cook for 2-3 minutes. Stir in Dr. Pepper and water. Cook 6-8 minutes, until bubbly. Remove from heat. Stir in salt and pepper to taste. Serve chili on top of hot dogs. Great idea to add the Dr Pepper to the sauce. I'm trying this soon. When do you add the tomato paste? This looks like another PC recipe I'll be making. Looks delicious! Adding these to next weeks dinner plans.